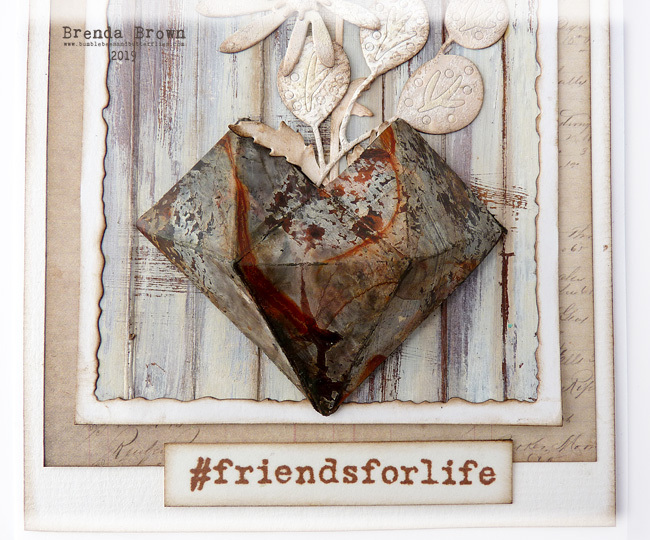 I love combining the shabby neutral look with rusty items and created this card with that in mind. I am also sharing it over on the Country View Crafts project blog today. 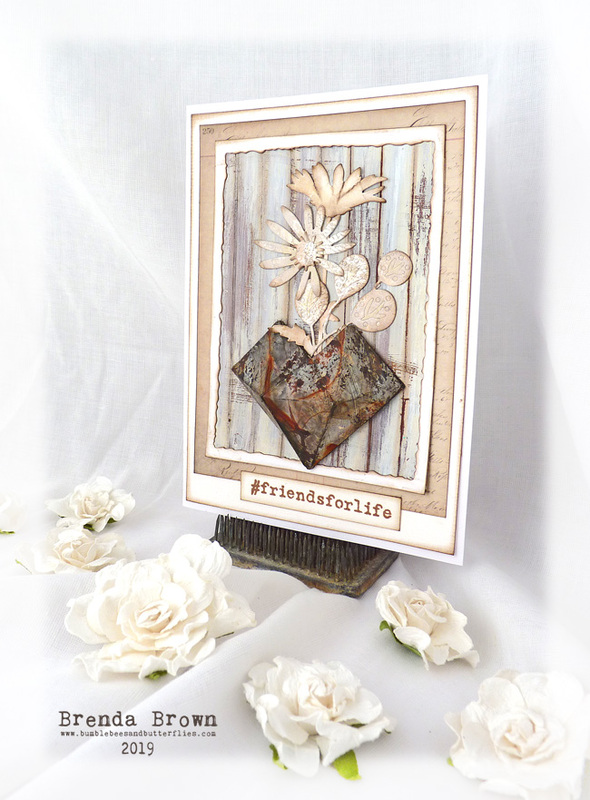 To me there's nothing nicer than creams, whites and browns together and to help achieve the look I layered together (from the bottom) card , patterned paper, faux shabby floorboards created with paints and inks and a deckled frame on the top. 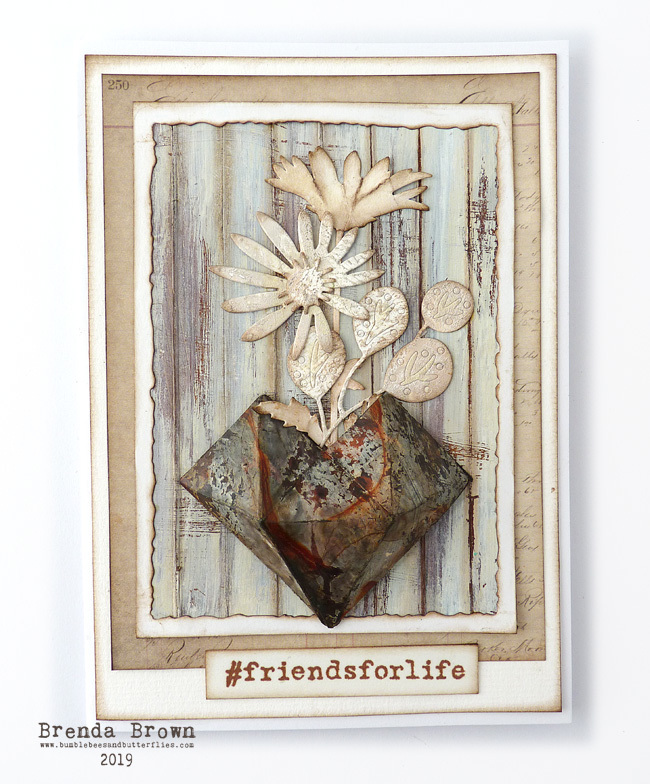 The flowers are a mix of the new wildflowers stems with the new funky florals by Tim Holtz. The wildflower in the background was cut from media paper and acrylic watercoloured and distressed whilst the funky florals were cut from a piece of left over cardwhere I had experimented with layering acrylic paints to achieve the shabby look. 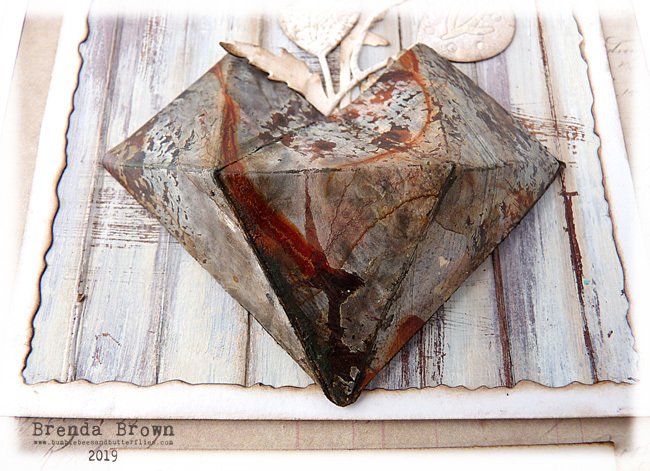 The faceted heart was also cut from a left over rust effect piece of card that has been lying in my bits box for ages - this box can be a mine of fabulous inspiration sometimes when an oddment and a die just fit together so perfectly. The die cuts the multi-faceted shape with score lines which need to be folded and pushed into shape to get the design. You can see the wonderful height and dimension and as a card it is best given to the recipient by hand as it wouldn't survive the post in just an envelope. I love the way the neutral palette becomes shabby with the textures and the scuffed floorboards, I must make some more pieces to be ready to use for more new creations. Here you can see the top of the heart and how the rust enhances the contrast in the colour palette. The same here with the lower part of the heart. I'm looking forward to experimenting more with this shape to see how else I can use it perhaps on media boards, canvas boards, small shadowboxes - who knows? Wow Brenda this really looks wonderfull , I saw the diamand when Tim showed his new products, but you made something very special with it, the colours are fantastic, and the flowers looks very beautifull in it!! Love it, love it love it!! Have fun and have a nice weekend!! Fantastic card, Brenda. Love how you used the heart as a vase for the flowers. 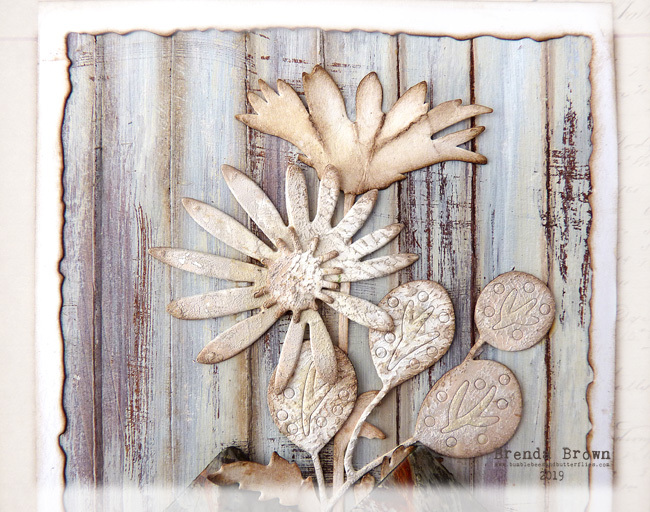 A stunning project Brenda, I love how you framed the beautiful flowers and the rusty effects give a real pop of colour. Fabulous , Brenda . 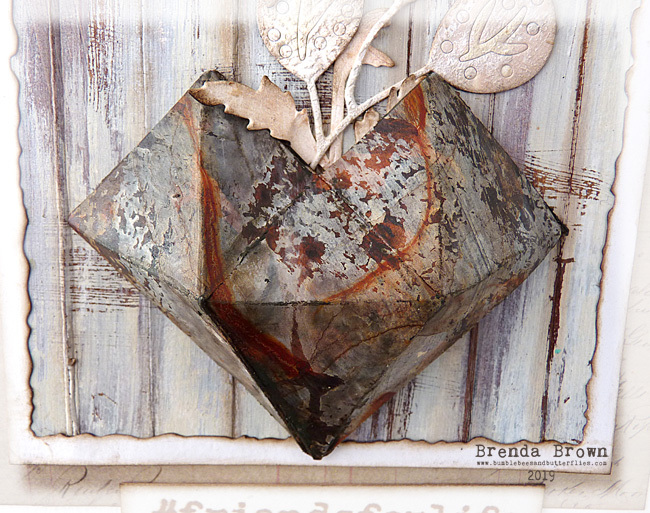 The neutral colour palette works so well with the rusty tones of the faceted heart - an ideal partnership . Love the design . Looking forward to your future projects using the heart . I just love your use of a soft colour palette. So effective! I agree wholeheartedly (no pun intended) that this colour palette is a delight and the faceted heart is a creation of genius that could have been so easily overlooked. 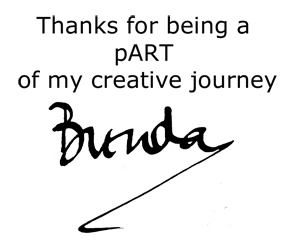 A composition that brings a smile to my face Brenda, a real pleasure to look at. Thanks so much for sharing, there's so much beauty within it's design. A masterpiece using that heart die! Beautiful, Brenda! 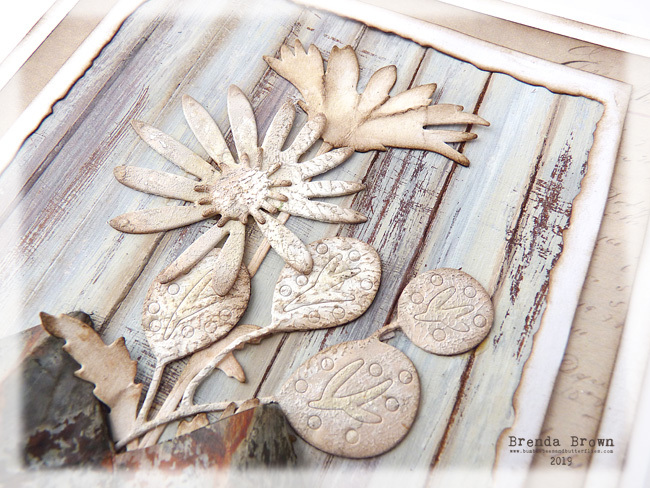 I love the rusty contrast to the white/neutral background and embellishments. 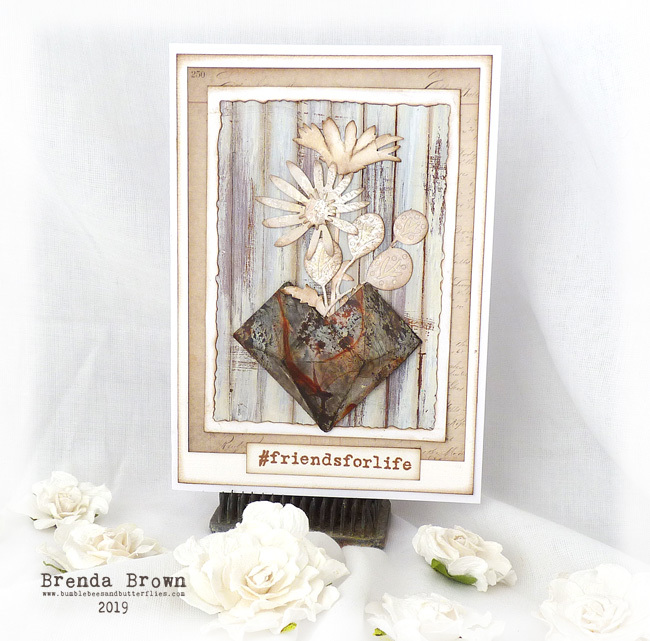 Your card is so beautiful Brenda and I love the colour combination x Great background for your florals and the heart...love it !!! Fabulous layers and the way the heart has turned out is GORGEOUS! A really wonderful card that is going to make someone very happy!!!! Pinned this beauty. Love the flowers coming out but oh that rust!!! 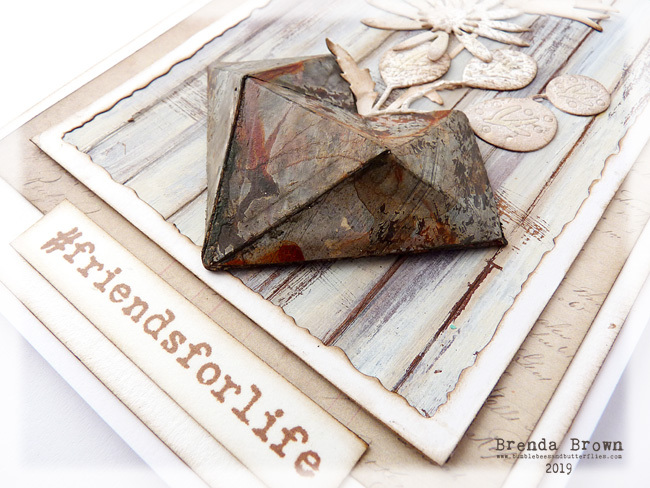 Your leftover rust paper and that heart die really are a match made in heaven - it looks simply amazing. I love the gentle colour tones in the shabby planks, and the delicate, pale flower stems. All just lovely lovely lovely! Your heart is STUNNING, Brenda! I love the contrast of the worn rusted heart with those shabby boards! A gorgeous design! Hugs! I know I am repeating what others said, but this is stunning.